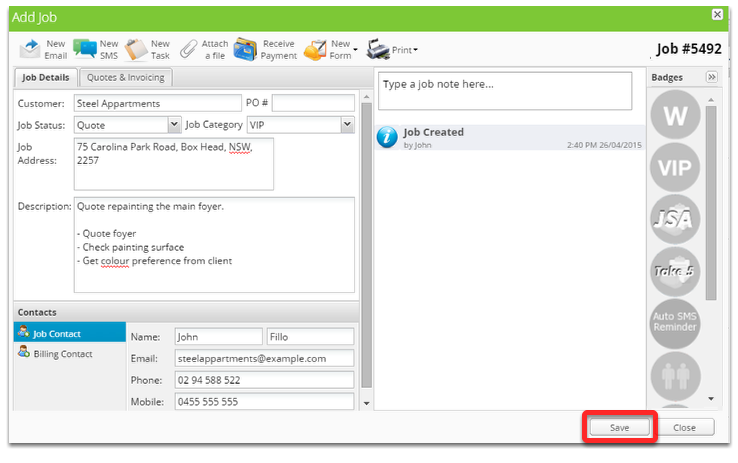 Welcome to ServiceM8, this lesson will show you how to create a job in ServiceM8. 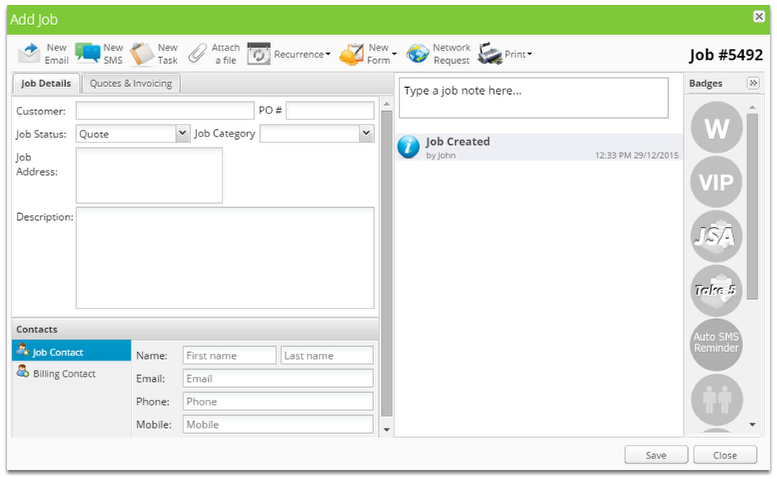 The job card is where all job information for a given job will be stored throughout the life of the job. 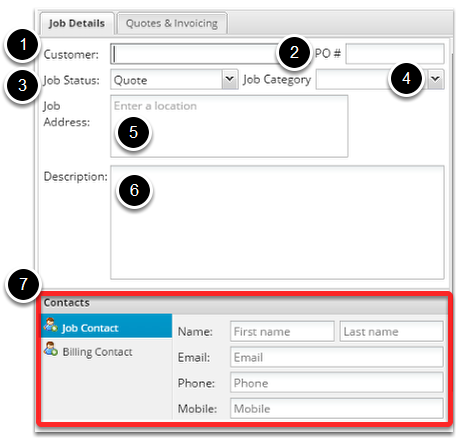 Customer - This field is used to to search for existing clients and as the company title field. Purchase Order - This field stores purchase order number information. Job Status - Job status is basically the stage that the job is at either: Quote, Work Order, Completed or Unsuccessful. Job Category - This field allows you to organize your jobs in anyway you like. 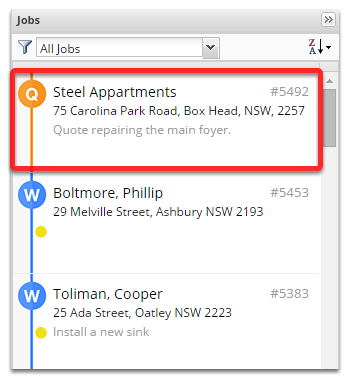 Job Address - This is where you put your customers address, ServiceM8 will attempt to auto correct this field. Description - This field is used to describe the job to be completed. Tip - put a dash before a requirement to create a checklist on the phone. Eg. "- Clean the gutters"
Contacts - This is where you fill in the customers name and contact details. The job list stores all current jobs, drag jobs from this list onto staff or the staff schedule to schedule it. Congratulations you have created your first job, you're ready to build your first quote! What is the Online Booking Form?